The early thirteenth century, Parisian intellectuals settled in the Valley of Schoolchildren near Langres and founded an order of canons. They soon established a priory in Troyes, Notre Dame in the Isle, an island formed by the branches of the Seine. The first church was built from 1302 under the patronage of Our Lady and St. Catherine. On major work was then done in the seventeenth century. The present chapel of the Grand Seminary was built on the thick walls of the transept of the church earlier. 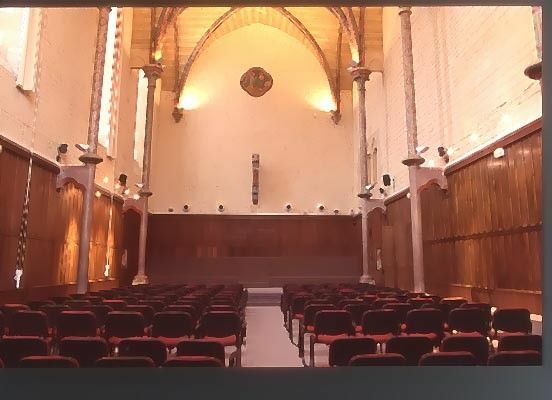 Today, La Maison Notre Dame in the Isle features: - services and movements of the diocese - the administrative departments of the diocese - the diocesan leadership of the Catholic Education (DIDEC) - Radio RCF Dawn - a reading room - a multipurpose room from 200 to 300 seats for conferences, concerts and exhibitions. And also an on-site accommodation possibility - In dormitory or rooms with 2 beds. There is no review about Maison Notre Dame En L'isle, be the first to leave one !